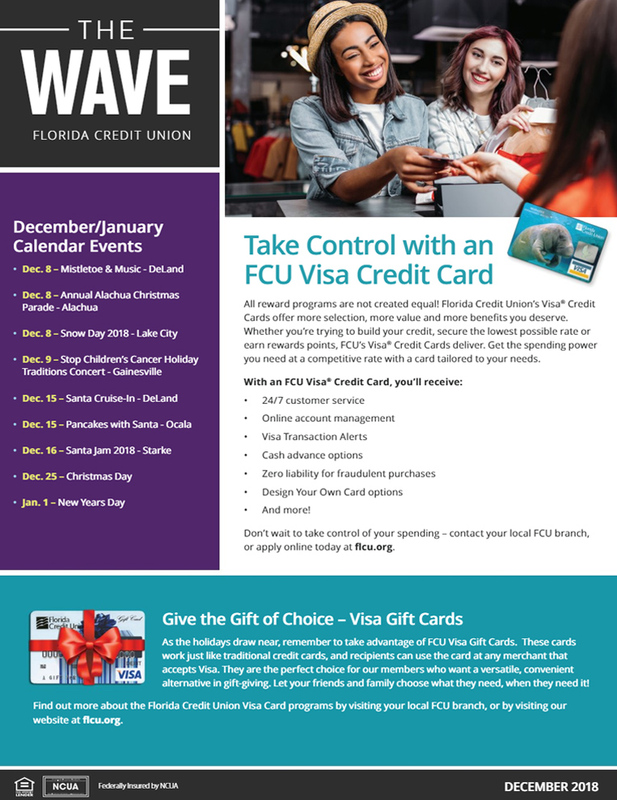 Welcome to The Wave, your source for all things Florida Credit Union. 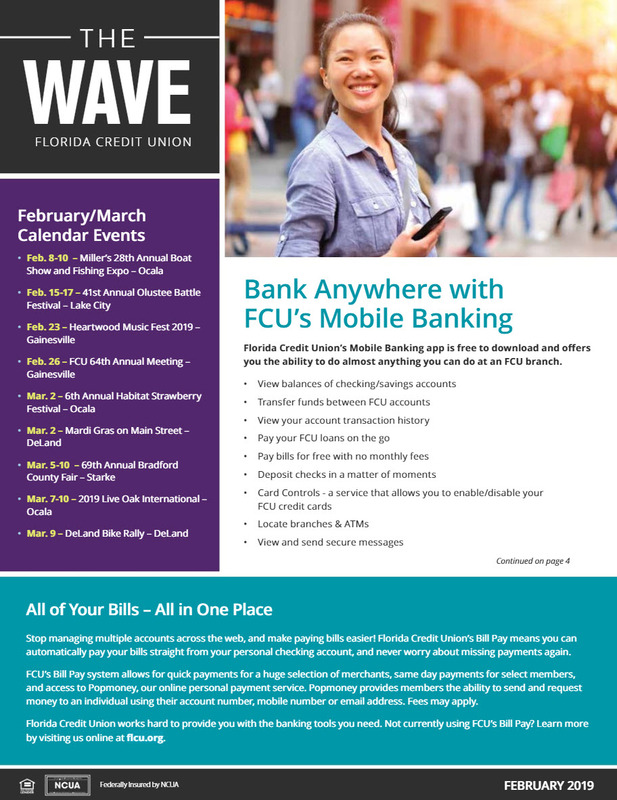 "Keep Your Money Safe Online!" 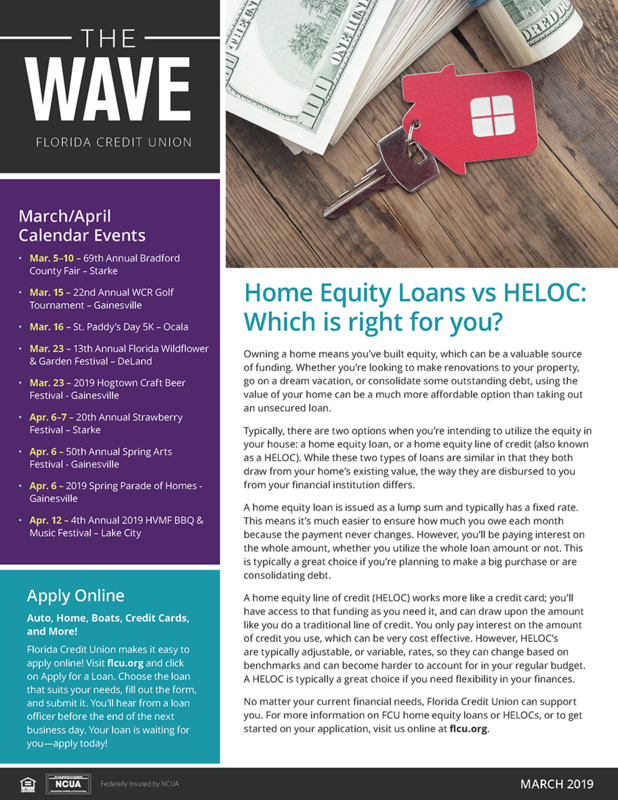 "Bank Anywhere with FCU's Mobile Banking"
"All of Your Bills - All in One Place"
"How Tech Can Help Your Budget"
"Take Control with an FCU Visa Credit Card"
"Don't Gamble with Your Credit"
"5 Facts About Holiday Shopping"
"Home Equity Loans vs HELOC: Which is right for you?" 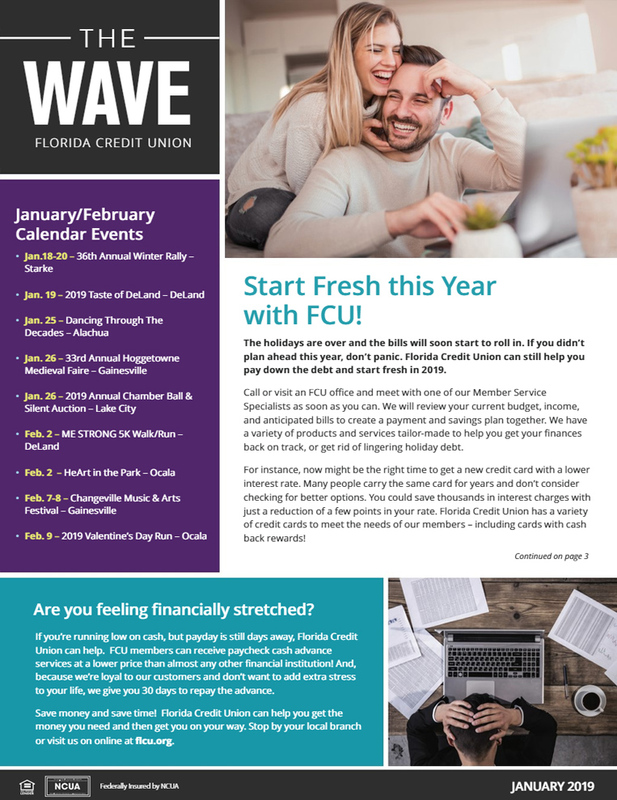 "4 Smart Ways You Can Save Money With Home Automation"
"Start Fresh This Year with FCU!" 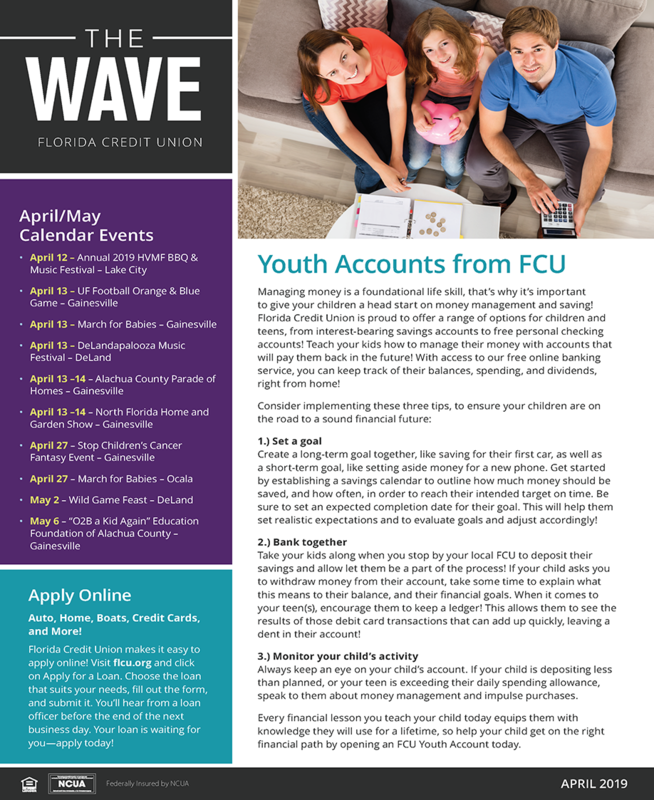 "Are you feeling financially stretched?" 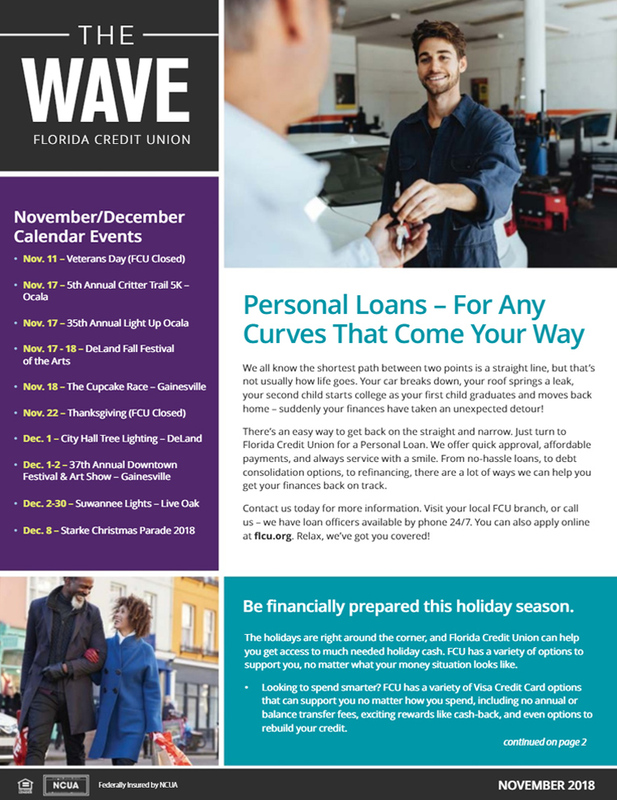 "Personal Loans - For Any Curves That Come Your Way"
"Be Financially Prepared this Holiday Season"
"5 Ways to Save on Holiday Spending"